^ 2c (Quaternary Glaciation — Extent and Chronology, Part III: South America, Asia, Africa, Australia, Antarctica Kuhle, M. (2004). 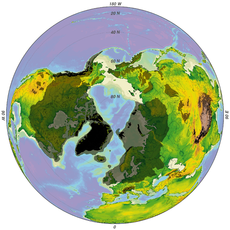 "The High Glacial (Last Ice Age and LGM) ice cover in High and Central Asia". In Ehlers, J.; Gibbard, P.L. Quaternary Glaciations: South America, Asia, Africa, Australasia, Antarctica. 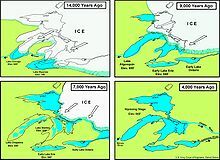 Development in Quaternary Science: Quaternary Glaciations: Extent and Chronology Vol. 3. Amsterdam: Elsevier. pp. 175–199. ISBN 978-0-444-51593-3. ^ Kuhle, M. (2011). 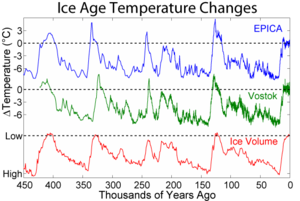 "Ice Age Development Theory". In Singh, V.P. ; Singh, P.; Haritashya, U.K. Encyclopedia of Snow, Ice and Glaciers. Springer. pp. 576–581. ^ a b Kuhle, M. (2004). "The Last Glacial Maximum (LGM) glacier cover of the Aconcagua group and adjacent massifs in the Mendoza Andes (South America)". In Ehlers, J.; Gibbard, P.L. Quaternary Glaciations: South America, Asia, Africa, Australasia, Antarctica. Development in Quaternary Science. Amsterdam: Elsevier. pp. 75–81. ISBN 978-0-444-51593-3. ^ a b c Kuhle, M. (2011). "Ch 53: The High-Glacial (Last Glacial Maximum) Glacier Cover of the Aconcagua Group and Adjacent Massifs in the Mendoza Andes (South America) with a Closer Look at Further Empirical Evidence". In Ehlers, J.; Gibbard, P.L. ; Hughes, P.D. 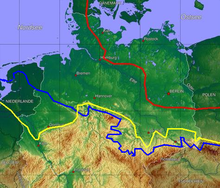 Quaternary Glaciations – Extent and Chronology: A Closer Look. Development in Quaternary Science. Amsterdam: Elsevier. pp. 735–8. ISBN 978-0-444-53447-7. ^ Johnston, A. (1989). 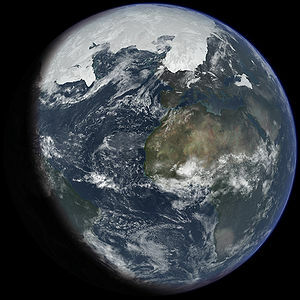 "The effect of large ice sheets on earthquake genesis". In Gregersen, S.; Basham, P. Earthquakes at North-Atlantic passive margins: Neotectonics and postglacial rebound. Dordrecht: Kluwer. pp. 581–599. ISBN 978-0-7923-0150-9.